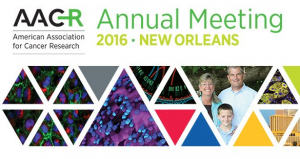 Cancer researchers – plan your downtime at AACR! The American Association for Cancer Research, or AACR, holds its annual meeting this coming weekend 16 – 20 April in New Orleans. The AACR Annual Meeting is a must-attend event for cancer researchers and the broader cancer community – and this year the theme is “Delivering Cures Through Cancer Science,” – reinforcing the inextricable link between research and advances in patient care. The theme will be evident throughout the meeting as the latest, most exciting discoveries are presented in every area of cancer research. There are a number of fantastic presentations planned that include exciting new data from cutting-edge clinical trials as well as companion presentations that spotlight the science behind the trials and implications for delivering improved care to patients. While we are disappointed not to be joining you all at AACR this year, lots of our friends from antibody suppliers will be there, so please do drop by and say hello to them. They are always keen to hear what you are up to and what new antibody you would most like, and of course there are normally loads of freebies! If you’re headed to New Orleans for this years’ event we do urge you to join our friends from Proteintech who are adding a bit of fun to all of the hard work! 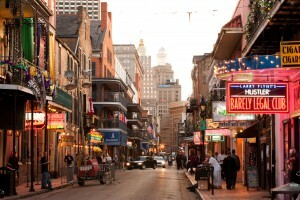 Proteintech are inviting all attendees at AACR to let their hair down on the Proteintech Bar Crawl, hitting up Bourbon Street on April 18th. To get involved you need to pre-register here and collect your cup from booth 749 on Sunday or Monday at AACR 2016. You can find out more about AACR here and while we won’t be there ourselves we will be following the conversation on Twitter using the hashtag #AACR16. We’ll also join Proteintech on the hashtag #ProteintechBarCrawl!